Are Langley students spending too much time on their cell phones? Technology has become a crucial part of student interaction and lifestyle, especially in high school. As the opportunities to integrate technology into the education system continue to increase, it is important to understand the effects that these devices could have on our bodies. Cell phone addiction is an increasing problem among the teenage demographic. Information can be received instantaneously with a cell phone resulting in people’s attachment to their phone. This information flow is not always a good thing as prolonged cell phone usage is closely related to social and mental problems in teens. “Studies are beginning to show links between smartphone usage and increased levels of anxiety and depression, poor sleep quality, and increased risk of car injury or death,” Trevor Haynes, research technician in the Department of Neurobiology at Harvard Medical School, said. This increase in anxiety and depression could be caused by the “dopamine loop,” which occurs from the interactions we have over social media. “Smartphones have provided us with a virtually unlimited supply of social stimuli, both positive and negative. 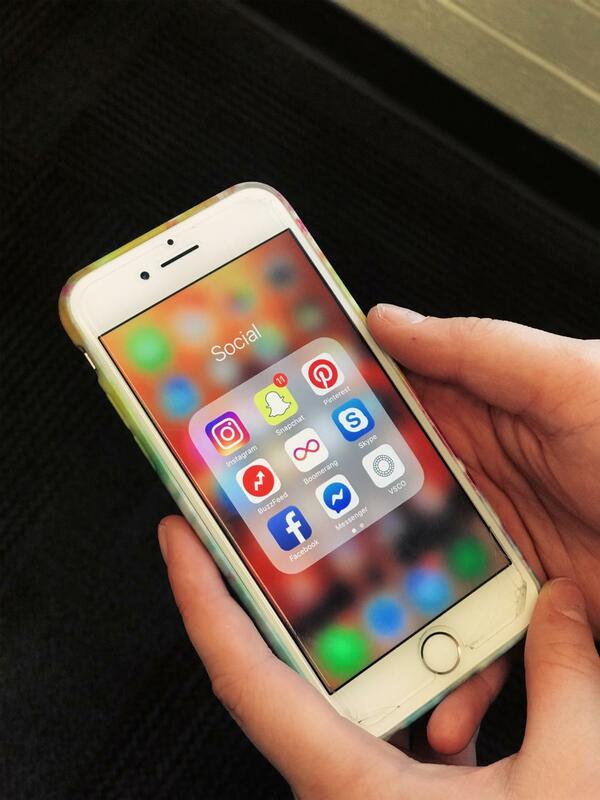 Every notification, whether it’s a text message, a ‘like’ on Instagram, or a Facebook notification, has the potential to be a positive social stimulus and dopamine influx,” Haynes said. These addictive tendencies often go undetected by teens as this social stimulus has become a part of teen culture. The new iOS 12 iPhone update allows cell phone owner to place time limits on their screen usage to increase productivity, limit distractions, and prevent cell phone addiction. Families can compile data limit and monitor screen usage which can help students to focus on school work and mental health. Teens are often reluctant to the extra restrictions, however, students with these limits have generally seen an increase in their academic performance. Additionally, these limits can help students to be more focused, efficient, and thorough when doing school and homework. “After I finish my homework, there’s nothing else to do but study more and do more homework in advance. I get so much more done,” sophomore Summer Thomas, who has limited her social media time to 15 minutes a day, said. Disregarding its negative effects, social media is a way to connect with peers and to share experiences and thoughts with people around the world. “Socially, I thought I would miss out on a lot, but it hasn’t been like that at all. I actually feel closer to most of my friends because now the only way I can talk to them is in person,” Thomas said. Technology is here to stay, but its many benefits can come with harsh consequences. Cell phone addiction is not an issue that should be disregarded as it can have a serious effect on student minds and actions.